A man clears snow from the roof top of his mud-house on the out skirts of Srinagar. 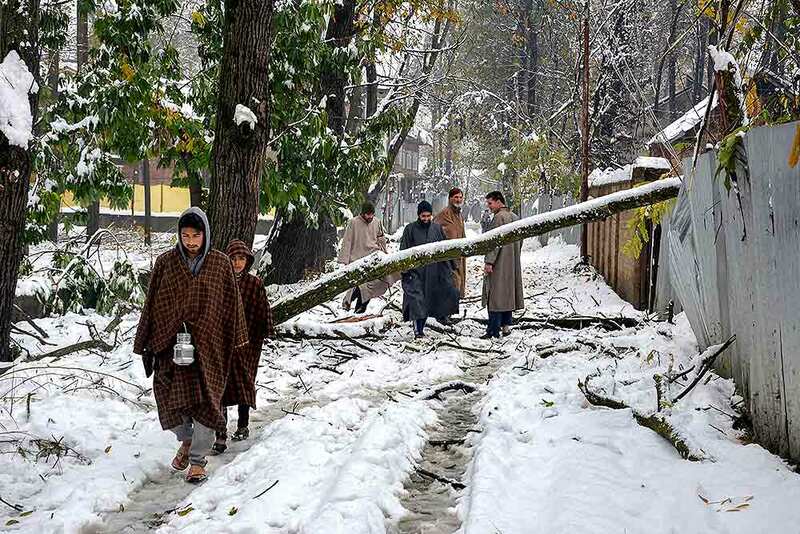 Apple crop worth crores has been damaged in Kashmir due to early snowfall as large number of fruit-laden apple trees have either been uprooted or their stems have broken. 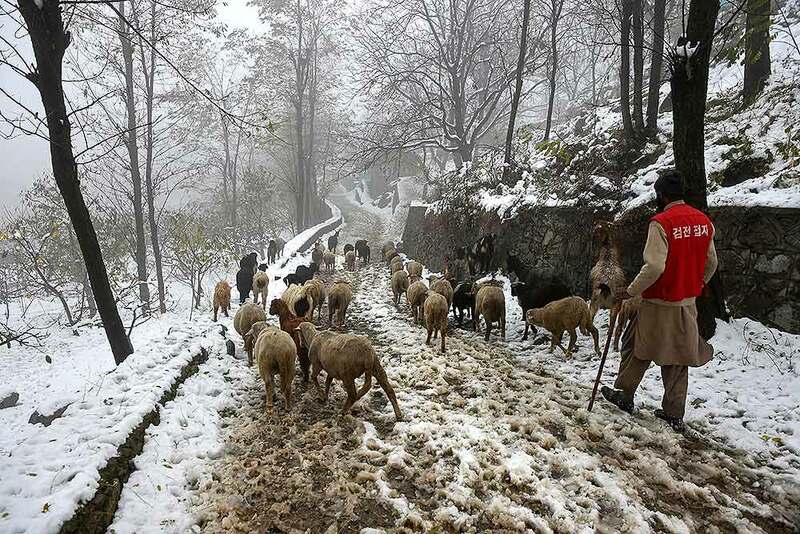 A man herds a flock of sheep through a snow coverd road in Srinagar. 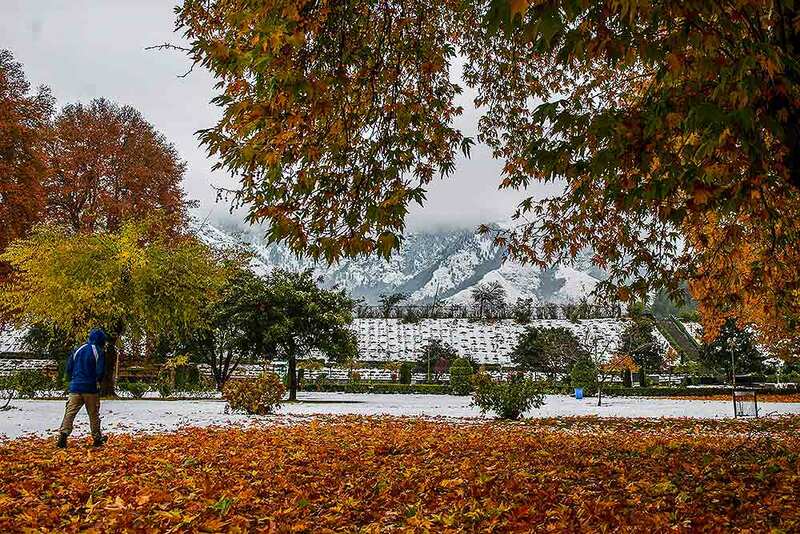 A man walks through a park amid fallen chinar leaves in the backdrop of snow clad mountains in Srinagar. People walk on a snow covered road after heavy snowfall, in Anantnag district of south Kashmir. 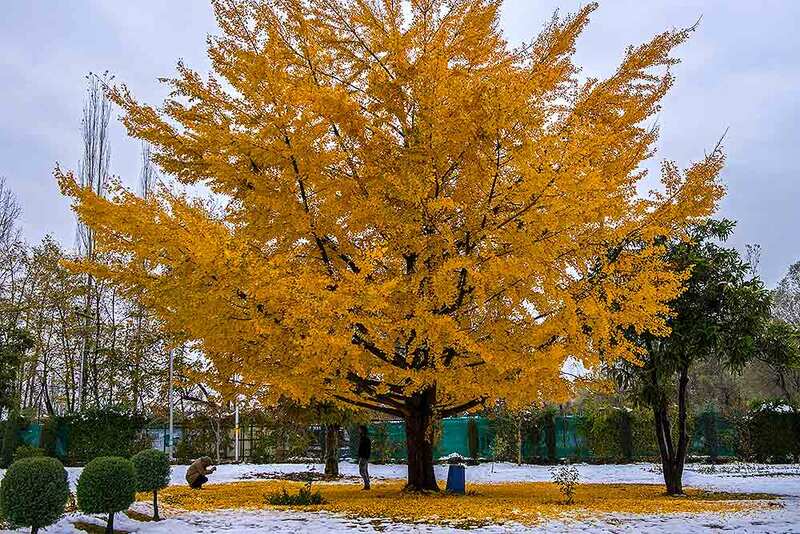 A couple takes pictures under a tree after seasons first snowfall, at a garden in Srinagar. 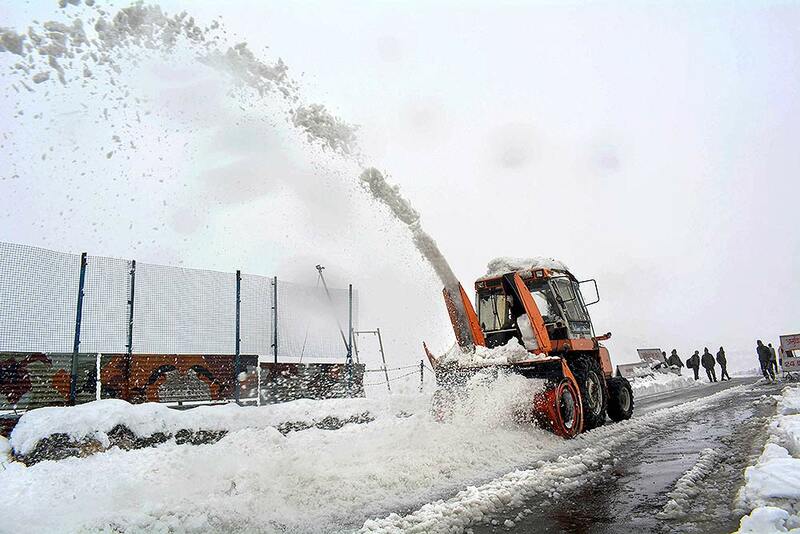 Snow is cleared from Srinagar-Jammu National highway at Qazigund in south Kashmir. Authorities re-opened the highway for light motor vehicles. 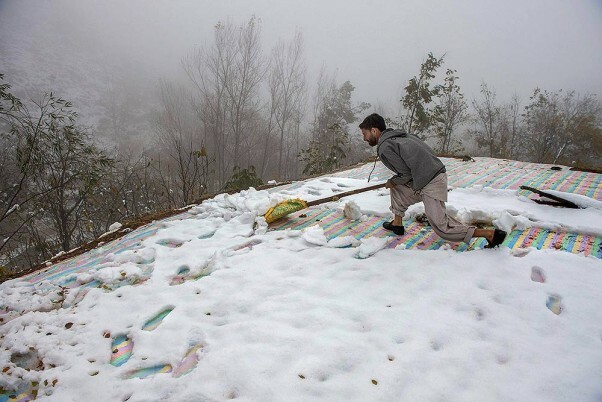 A vendor clears snow during season's first Snowfall in Srinagar. 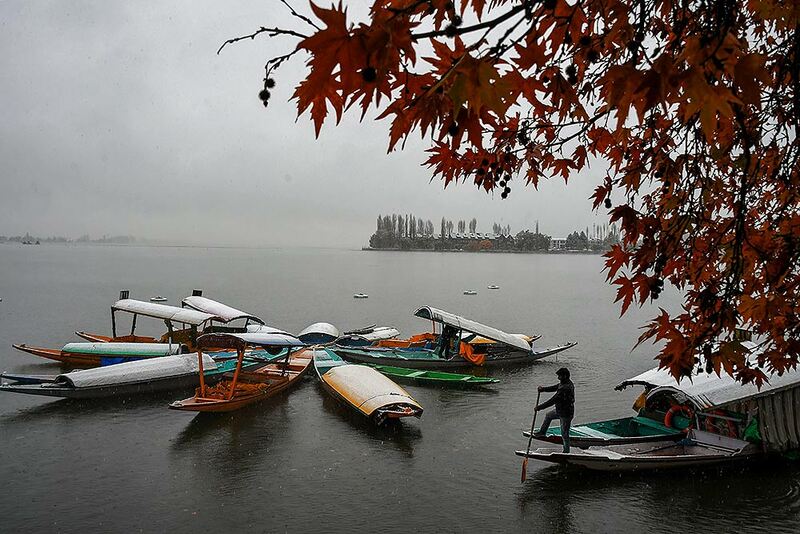 A Shikarawalla rows his boat across Dal Lake during the season's first snowfall, in Srinagar. 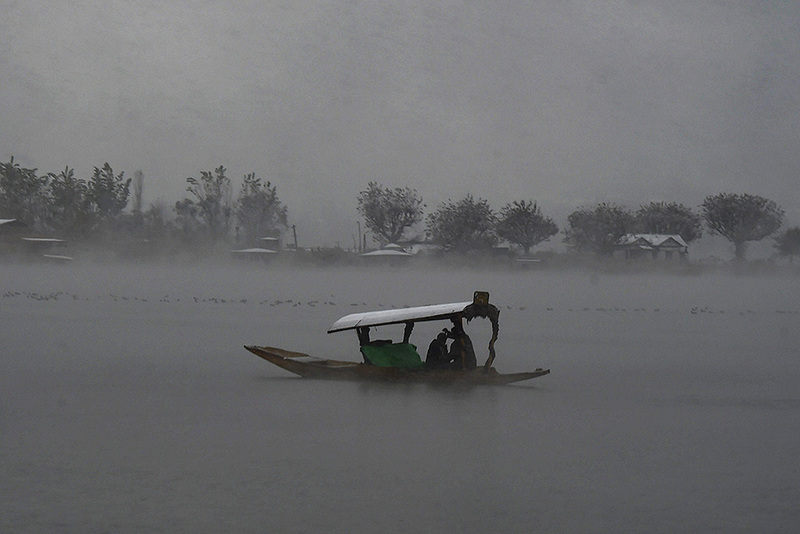 A Shikarawalla clears snow from a boat during season's first Snowfall in Srinagar. 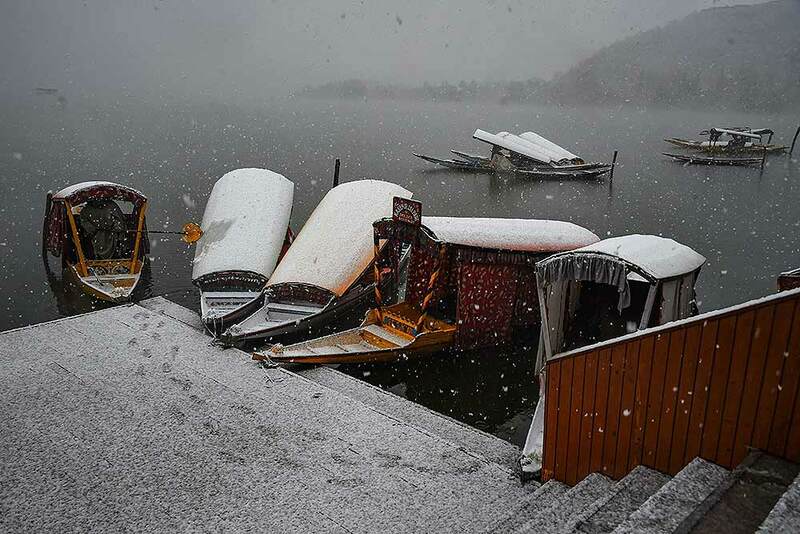 A view of the Dal Lake during season's first Snowfall in Srinagar. 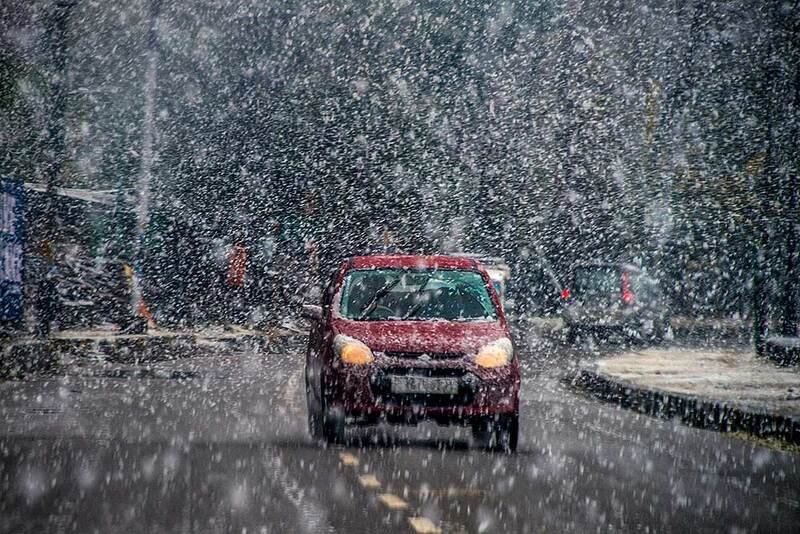 A vehicle moves during season's first snowfall in Srinagar. 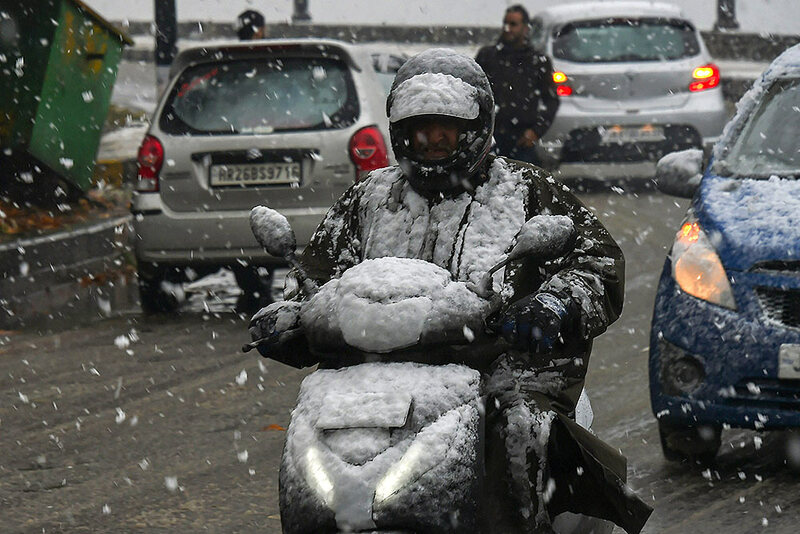 Vehicles move during season's first snowfall in Srinagar. 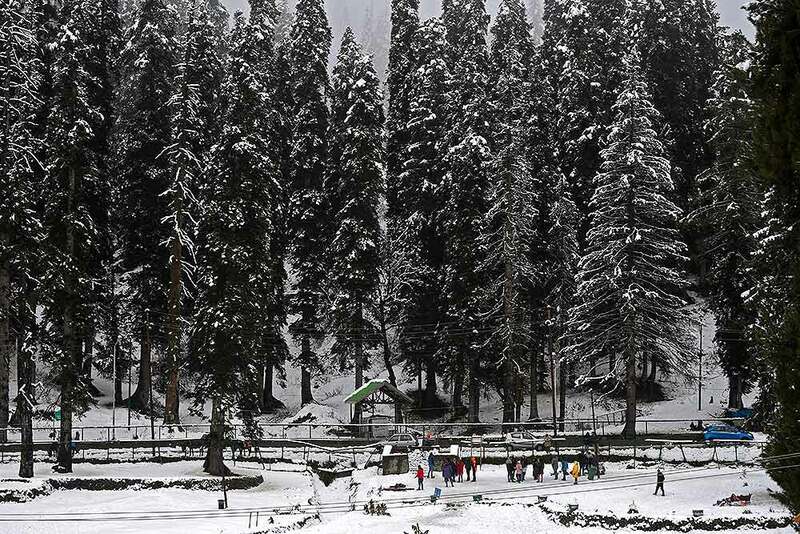 A view after fresh snowfall at the famous ski resort of Gulmarg in Baramulla District of North Kashmir. 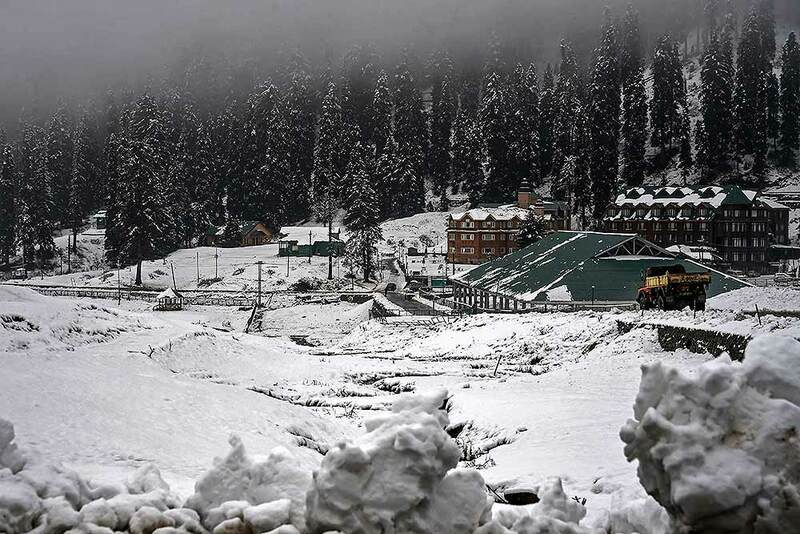 A view after fresh snowfall at the famous ski resort of Gulmarg in Baramulla District of North Kashmir. 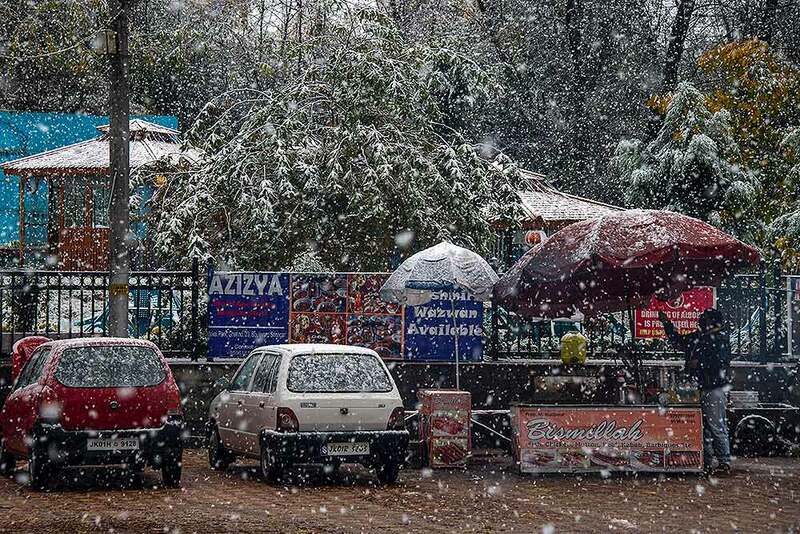 According to the officials, moderate snowfall was witnessed in Gulmarg, where nearly six inches of snow has accumulated, while snowfall was heavier in the higher mountain reaches at many places in the Valley. 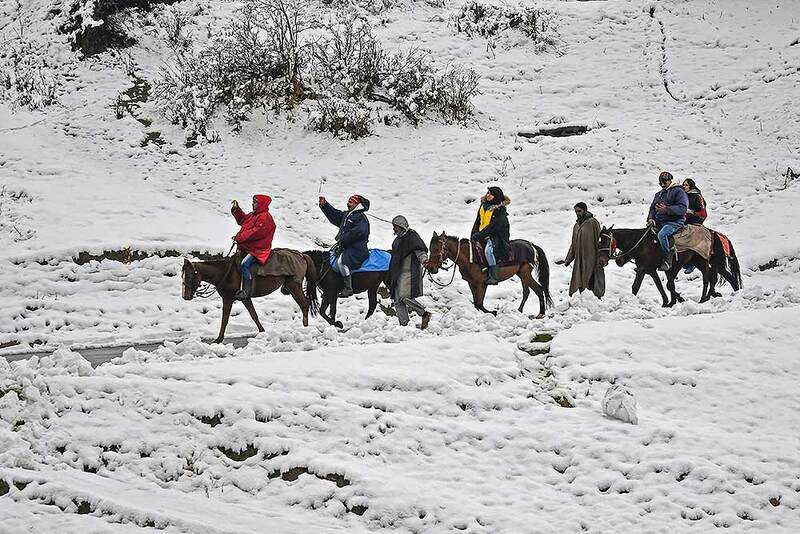 Tourists enjoy horse ride after seasons first snow fall at famous ski resort of Gulmarg, in Distrct Baramulla of North Kashmir.